Testing The Berghaus Peak 3.1 Tent. I have used the Berghaus Peak 3.1 tent for wild camping on number of occasions. This product has accompanied me around numerous locations in The Peak District. The main reason for purchasing a new backpacking tent was to reduce the weight in my rucksack. My ideal backpacking tent would have been The Laser Ultra 1 by Terra Nova Equipment. The Laser Ultra 1 has been awarded the Guinness World Record for the lightest double wall shelter in the world. This awesome piece of kit is priced at £900. I couldn’t really compensate spending that amount. Being a lover of Berghaus products, I decided to see what lightweight tents they offered. I finally made the decision to purchase The Peak 3.1 backpacking tent. I have since used this piece of kit in all types of weather and feel now is the time to write a Berghaus Peak 3.1 tent review. When the tent arrived, the contents looked slightly smaller than I had imagined. Although I was aware of the pack size: 48 x 15 x 15cm. The tent seemed smaller and a well packed product. That said, it felt slightly heavier than I had anticipated. The pack weight is 1.95kg. Despite this, I was positive that I had purchased the correct product to suit my requirements. I checked that my rucksack (Vango Contour 60+10) would accommodate it. UPDATE: July 2018. I have since purchased a OEX Vallo 60+10 Rucksack at half price, which I can highly recommend. It surprised me to see how little room this tent took up. I was eager to get out and about to test my new tent. 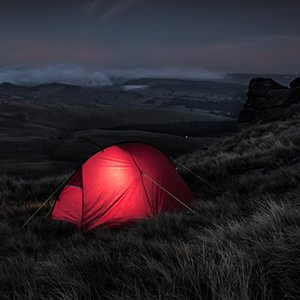 My first mission was Wild Camping on Kinder Scout in the Peak District, Derbyshire. Contents of The Berghaus Peak 3.1 Tent? After unpacking the contents supplied with the Berghaus backpacking tent. The pegs were good quality. I have had issues with the standard pegs supplied with other brands. It seems that having to replace pegs supplied with some tents is quite common. This is something that I have not had to do with the Peak 3.1. (hats off to Berghaus) The centre pole provided is also of a good quality. This product also includes a full repair kit. Fully waterproof – 3000mm Hydrostatic Head to keep you and your belongings dry. Fire retardant – tested to the BS EN 5912 standard. Easy to pitch – set up with just 1x 7001-T6 alloy pole. Wind resistant – continuous flat pole sleeve improves the wind resistance. Stable – tension straps adds extra stability. Breathable inner tent – for a condensation free shelter. Ventilated – at the front and rear of the tent. Meshed door – extra ventilation and prevents any unwanted crawlers. As a man with many years camping experience, I have erected different sized tents over the years, from one man tents to six birth family tents. I wasn’t expecting to have to look at the instructions to erect the Berghaus Peak 3.1 tent. Inside the storage bag are some very handy waterproof instructions stitched inside the bag. A handy piece of information that would be welcomed by first time campers. I found this tent very easy and quick to erect. A very simple task, even in heavy winds. No fuss thanks to the single alloy pole construction. My final thoughts for this Berghaus Peak 3.1 tent review are as follows. Having used this tent is all types of weather, from glorious sunshine to heavy wind and rain. I have found the Berghaus Peak 3.1 to be a great addition to my wild camping missions. If pitched correctly it really does cope very well in poor weather conditions. The handy little area between the inner and outer tent is ideal for storing either your walking boots, cooking equipment or your rucksack. I am 5.10″ and find that it provides ample room for a good nights sleep. I would most certainly recommend this product to others who are looking for a fairly lightweight backpacking tent for exploring alone. Well done Berghaus, you’ve earned this tent a score of 9 out of 10 from me. Thanks for reading my Berghaus Peak 3.1 tent review. The tent sounds promising, I recently purchased a Mountain Warehouse Backpacker 2 tent which was a bit of a mistake to be honest. I am also 5ft 10″ and struggled with the backpacker 2. I look forward to receiving my Peak 3.1 which I purchased today for £71 including delivery. I’ve waited a while to respond, as I’m hoping that by now you have used The Berghaus Peak 3.1 Tent. I’m interested in hearing your thoughts on this backpacking tent? Great review. Love this tent. It’s cheap enough that it’s not going to be heart- or bank-breaking if it gets damaged. Love that you can sit up in it and have everything in it with some decent room to your side (depending which way you lay). Pretty fast pitch too. I have noticed a fair bit of condensation inside though. Do you find the same? Have only used it for single nights so not a problem. Sorry for the late reply. For some reason, your comment went in the spam box. I agree about the condensation, but to be fair, most small backpacking tents I’ve used have been the same. Thanks for your really helpful review. I’ve just managed to buy a new one off ‘tinternet’ for £45.97. Happy days! I hope to have it delivered on Tuesday and can’t wait to see how it will look. 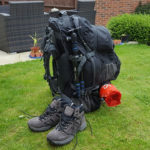 I’m off to walk the GR52, from St Dalmas to Menton/Garavan on 11 Sept. I hope this tent will be ideal for the trip. Thanks again, for your informative review. Sorry it’s took so long to reply. Your response ended up in my spam folder for some reason. I hope your walk went to plan. I’d like you to share your experience with the Berghaus Peak 3.1 Tent. Nice detailed review. Why do you keep your bag in the tent? Is it not big enough in the porch area? I’m thinking about getting this (on sale at the mo for £79) but I’m worried there won’t be room for my backpack anywhere. Also this looks kind of tall for a 1 man. Can you sit up in it? I use my bag as a pillow. The height of the Berghaus Peak 3.1 is higher than most one-man tents, but that allows me to sit up and admire the view, even if it’s raining. As I mentioned in my post, I would certainly recommend this tent to others. 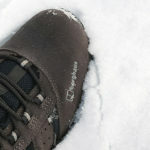 In my opinion, the Berghaus Peak 3.1 is a great product for a very reasonable price. Could you tell me whether this tent pitches outer or inner first? I can confirm that the Berghaus Peak 3.1 Tent pitches outer first. Do you think that this tent is big enough, at a push, for me and my little dog? I’m cycle touring this year, with a trailer, and need to keep the weight down as well as keeping to a fairly modest budget. PS I have already bought the tent for a bargain price, I hope I haven’t made a mistake. With regards to your question. This will all depend on the size of yourself and your dog. I’m quite happy sleeping in it with my rucksack, which is larger than a small dog. My initial answer would be yes, you should be OK. Bare in mind that it’s only to sleep in.